Jennifer Long in Natal Signs publication! September 30, 2015 / Nicholas Pye / Comments Off on Jennifer Long in Natal Signs publication! 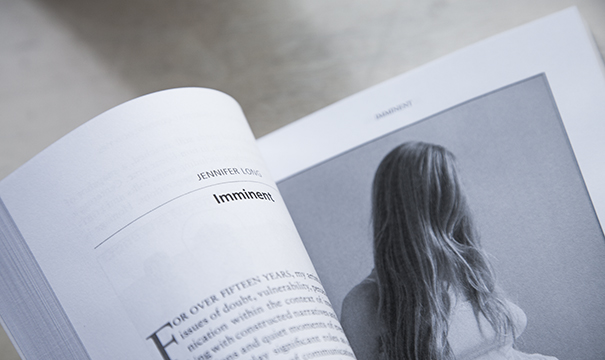 Jennifer Long’s Imminent series is included in the latest publication, Natal Signs: Cultural Representations of Pregnancy, Birth and Parenting by Demeter Press. Edited by Nadya Burton, the book explores some of the ways in which reproductive experiences are taken up in the rich arena of cultural production. The chapters in this collection pose questions, unsettle assumptions, and generate broad imaginative spaces for thinking about representation of pregnancy, birth, and parenting. They demonstrate the ways in which practices of consuming and using representations carry within them the productive forces of creation. Bringing together an eclectic and vibrant range of perspectives, this collection offers readers the possibility to rethink and reimagine the diverse meanings and practices of representations of these significant life events. Engaging theoretical reflection and creative image making, the contributors explore a broad range of cultural signs with a focus on challenging authoritative representations in a manner that seeks to reveal rather than conceal the insistently problematic and contestable nature of image culture. Natal Signs gathers an exciting set of critically engaged voices to reflect on some of life’s most meaningful moments in ways that affirm natality as the renewed promise of possibility. 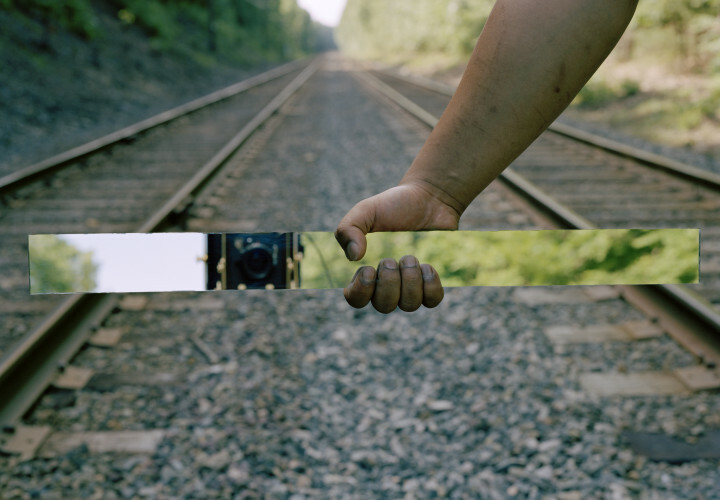 Jennifer Long is an artist, curator and educator holding a BAA from Ryerson University and a MFA from York University. 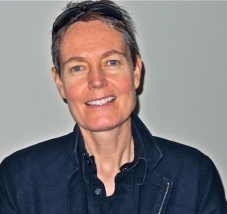 Her artwork has been exhibited nationally and internationally, reproduced in numerous Canadian and European publications, and received funding support from the Toronto Arts Council, Ontario Arts Council, and The Canada Council for The Arts. 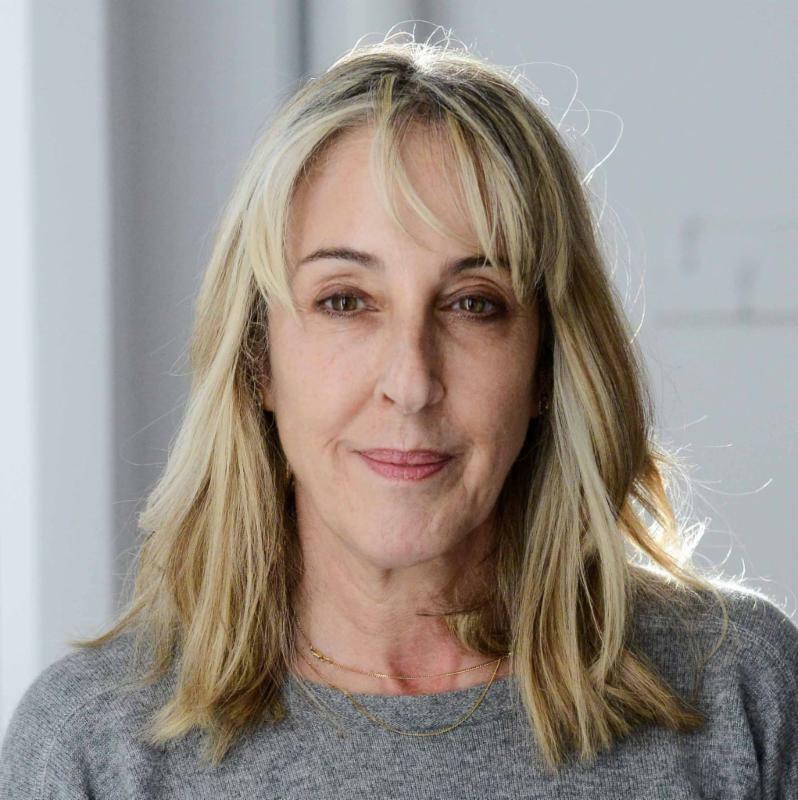 Long works at OCAD University as an Assistant Professor in the Photography Program and the Associate Chair of Cross-Disciplinary Art Practices. 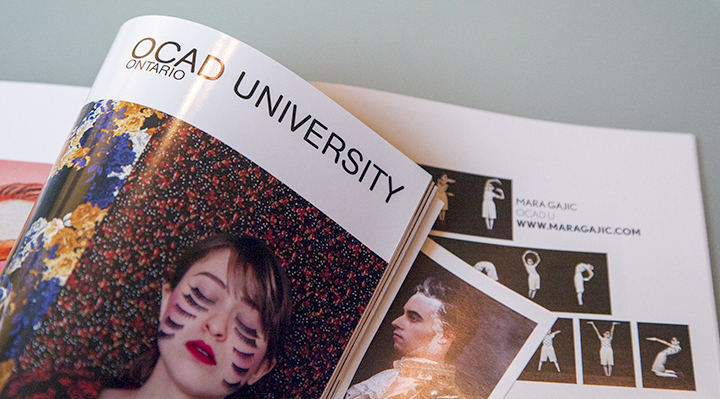 OCAD U is well represented in PhotoEd Magazine’s 2015 Schools Issue! September 28, 2015 / Jennifer Long / Comments Off on OCAD U is well represented in PhotoEd Magazine’s 2015 Schools Issue! When you open up the 2015 Schools Issue of PhotoEd Magazine, you will find major representation from OCAD U! Pick up your copy of PhotoEd Magazine today! 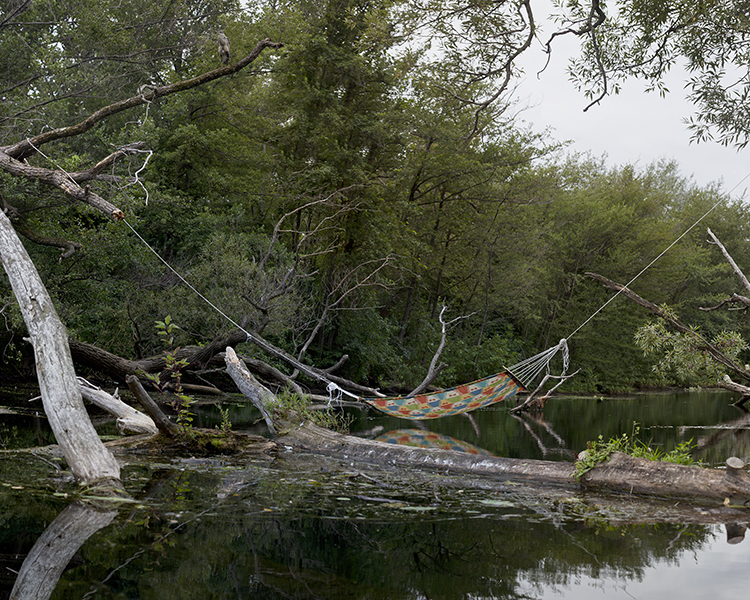 Contemporary Artists include Jason Brown, Jennifer Carvalho, April Hickox (OCAD U Photography faculty & alumni), Brian Jungen and Duane Linklater, Gavin Lynch, Reinhard Reitzenstein, & Monica Tap . FREE bus tour from Toronto to AGM, Hamilton Artists Inc. and the Art Gallery of Hamilton. Registration required. RSVP at agm.connect@mississauga.ca. Detailed schedule available online. In the late 19th and early 20th century, Homer Watson brought the Canadian landscape to the attention of the art world, and artists are still drawn to the subject today. Together in this exhibition, the workof Watson and contemporary Canadian artists illustrates the universality of our quest to appreciate and capture the truth of the landscape in which we live. A special acknowledgement and thank you to AGM Board Chair, Robert Tattersall and the Community Foundation of Mississauga for their generous sponsorship of this exhibition. Please join us in honouring the life and work of Wendy Coburn who passed away this summer and whose loss has deeply saddened our University community. Wendy was a graduate of OCAD U, an Associate Professor in the Faculty of Art, a multi-disciplinary artist, fearless champion of equity and diversity, and an inspiring teacher and art administrator. The Faculty of Art will be holding a Memorial for Professor Coburn on Thursday, September 24th at 7:00 pm, room 190 (the Auditorium) 100 McCaul. Following a set of opening speeches and testimonials, we would like to open the mic to all members of our community to share their thoughts and memories of Wendy’s deep commitment to her students, colleagues and staff. The Memorial will be followed by a reception that will be held in Lambert Lounge in concert with the opening of the Feminist Art Conference (FAC). Please note that The Faculty of Art has established the Wendy Coburn Memorial Scholarship. Please see the link enclosed and donate in support of students success which Wendy held so close in her heart. We are aware that many of you may be affected by this loss and group grief counseling support will be available to faculty, staff and students throughout the celebration in room 284 from 6:30 pm to 10:00 pm. Additionally, staff and faculty can access grief counselling through the university’s Employee Assistance Program. The information and phone number are to found online: http://www.ocadu.ca/services/human-resources/employee-benefits-pension/e…. Connie Arezes-Reis in Human Resources can also guide you in contacting the service, should you wish. Students may access grief counselling support Monday to Friday from 9:00 to 4:00 pm through the Health and Wellness Centre located at 51 McCaul Street, 2nd floor at the OCAD U Student Centre or by calling or emailing to book an appointment, http://www.ocadu.ca/services/health-and-wellness.htm. Please join us in celebrating the work of Wendy Coburn. Come to Butterfield Park on Thurs, Sept 24th between 9:30-4:30 to interact with the Aimia | AGO Art Truck! Learn about the Aimia | AGO Photography Student Scholarship, which offers three – $7,000 awards for students going into their final year of study. The Scholarships are awarded to students working in photography who have shown extraordinary potential throughout their undergraduate studies. For the purposes of the Scholarship Program, “photography” is defined broadly: submissions can include video, photo-based installation, and other lens-based artwork. 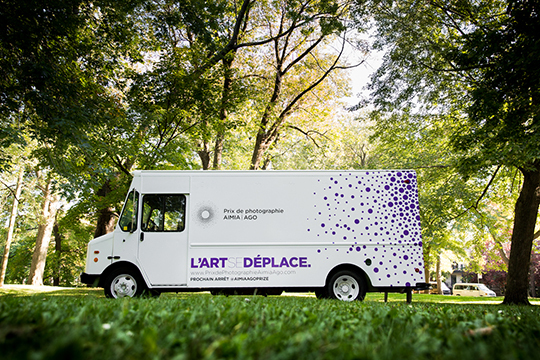 The Art Truck will also share Information and visuals of the Aimia | AGO Photography Prize which recognizes four international artists working at the forefront of photography. The winner of this $50,000 award is selected by you – the audience members! Come out and Vote for work that speaks to you! 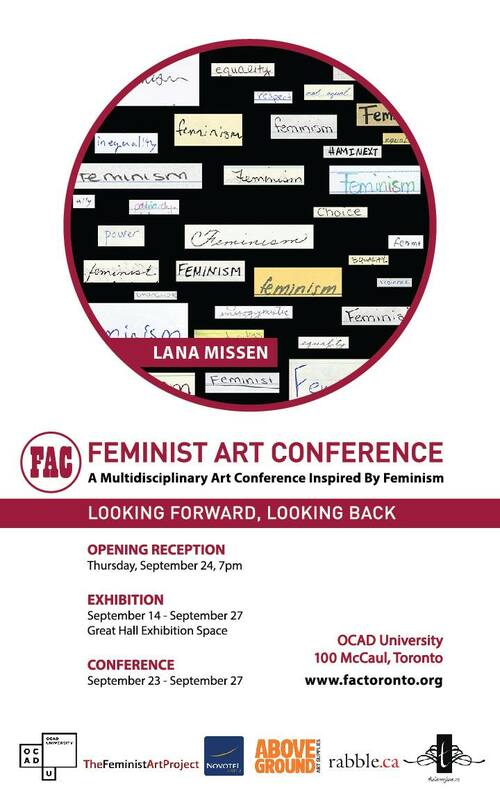 Mark your calendars and be sure to attend this weeks’ Feminist Art Conference! Join OCAD U Professor Barbara Astman in conversation with Jane Corkin as they discuss Barbara’s current exhibition, I as artifact. The exhibition continues until Sunday, October 11th, 2015. In collaboration with The Robert McLaughlin Gallery, SAVAC presents Beyond Measure: Domesticating Distance. The exhibition brings together the works of five contemporary South Asian artists as they examine the voids and brims of living in a diaspora. Tazeen Qayyum, Abdullah M.I. Syed, Asma Sultana, Surendra Lawoti and Meera Margaret Singh critically dissect cultural duality and the resulting hybrid identities. They share accounts that add to an overarching collective narrative that has come to describe an in-between space. Hovering between recollection, narration and reflection their works record acts of searching for the familiar in the foreign, of repurposing the past in the present and of locating oneself within displacement. Working with performance and installation, photography and sculpture, writing and sewing and moving image and text, their multidisciplinary practices echo the diversity of their layered experiences. This project is supported with a grant from the OAC through a Culturally Diverse Curatorial Project grant.